Turn on the television at any point this month and you will see that basketball is in full swing, but along with the hoops and jump shots you are bound to find another prevalent trend on the court—knee braces. Knee injuries are incredibly common among basketball players, but they also affect those of us who are not taking to the court daily. 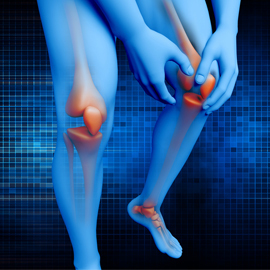 Carrying around excess weight is one common cause of knee pain, but our knees can begin to feel the wear and tear of overuse from daily exercise, standing while working all day and even as a result of a fall or car accident. When basketball players get hurt, they often cannot afford a long recovery period. Their career often depends upon their ability to bounce back after an injury, and that is something that most of us can relate to. Many professional athletes have turned to prolotherapy in Los Angeles for treatment after an injury. Kobe Bryant may be one of the most prevalent examples of a professional athlete that recently turned to this form of treatment. Kobe used a form of regenerative restorative injection therapy (or prolotherapy) to strengthen his weakening knee. Prolotherapy can help strengthen weakened areas by targeting the injury site with natural substances such as a special dextrose solution, and stimulates our own immune system to use its own regenerative potential to help us heal faster. This form of pain treatment is helping professional athletes like Kobe Bryant eliminate the pain from both new and lingering injuries while improving their strength, quickness and agility that was lost.